The gavel got passed at the most recent ASBSD Board of Directors meeting. 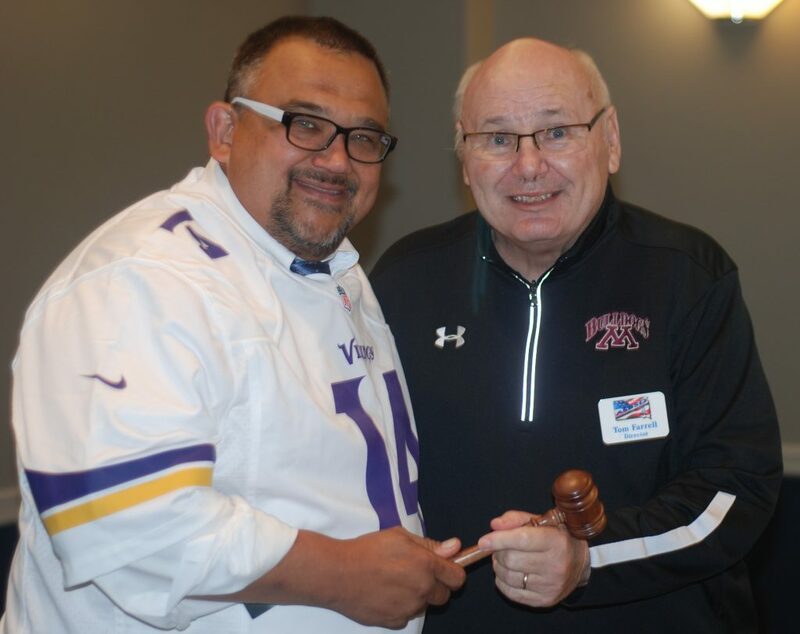 Sioux Falls School Board Member Todd Thoelke completed his year-long term as ASBSD President by passing the gavel to Madison Central School Board President Tom Farrell. 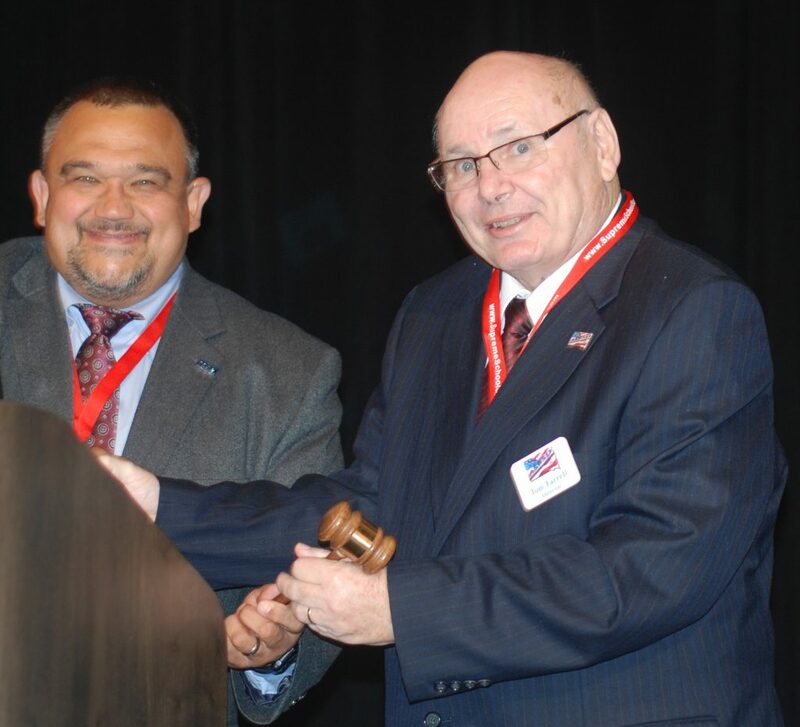 Thoelke has represented the Sioux Falls School District on the ASBSD Board since 2014 and will continue to be a member of the Association’s Executive Committee as Past President. Farrell now takes charge of the 18-member Board of Directors on which he has represented the Southeast Region’s 700-1,399 enrollment category since 2014 and on Association’s Executive Committee since 2016. He has represented his local district as a member of ASBSD’s Legislative Action Network and presented ASBSD’s School Board President’s Retreat and annual convention. Currently serving his ninth year on the Madison Central School Board, Farrell is in his seventh year as School Board President and previously sat on the district’s high school renovation committee.